What materials are used in the construction of your rugs? How do I determine the dimensions of your rugs? How many knots per square inch are there in your rugs? Why do the fringes of a rug vary? 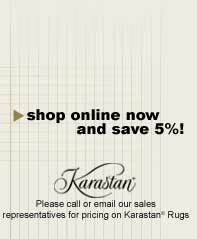 Do you sell under-padding for rugs? What are the benefits of under-padding? How long does it take to make an Oriental rug? How accurately do the pictures on the screen reflect the actual colors of the rug? Do you also sell accessories? 1. 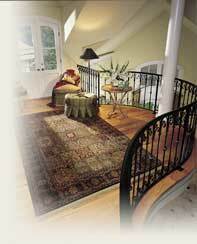 What materials are used in the construction of your rugs? Most Persian and Oriental rugs are carefully constructed of only high-quality silk, wool and cotton. 2. How do I determine the dimensions of your rugs? The exact dimensions of each rug are listed in the description table. 3. How many knots per square inch are there in your rugs? The knot count per square inch is unique to each rug. The count could range from 60 to 1400 KPSI, depending on the material used and the skill of the weaver. 4. Why do the fringes of a rug vary? Most fringe choices are made by the weaver of that particular rug. They range from short, long and in some older pieces, braided. The length or type of fringe has little to do with the overall quality or value of a particular rug. 5. Why is there fading or other color variations in handmade rugs? Some colors have varying shades in handmade rugs. This is referred to as 'abrash'. It refers to the hue or color change found on many older rugs, particularly those rugs woven by nomad tribes. While 'abrash' is commonly seen in tribal nomadic rugs, some modern Oriental rugs are intentionally woven with the color variation. The variations in color are usually the result of inconsistent dyeing of the wool, or through the introduction of a new wool batch while weaving the carpet. Generally some 'abash' is desirable in tribal carpets and very undesirable in "city" carpets. 6. Why do handmade Oriental and Persian rugs occasionally have imperfections in regards to symmetry or size? A famous Persian proverb states: "The Persian carpet is perfectly imperfect, and precisely imprecise". This phrase comes from their important belief that only God can create perfection. Therefore, to make a perfect rug would be flying in the face of the Almighty! Fortunately, most of these 'imperfections' are very small details of pattern, like an extra leaf on a tree, or one flower of a color different from all the rest. In tribal pieces, most variations are not intentional, but simply due to the fact that it is much harder for nomadic weavers to operate than it is for city weavers. The looms used in rural areas are usually simple horizontal looms placed on the ground, where it is much more difficult to make a perfectly symmetrical rug. By definition nomadic weavers migrate according to the seasons, and slight variations might also be caused by temperature changes and by the constant dismantling and re-assembly of their primitive looms. 7. Do you sell under-padding for rugs? Yes, we do sell under-padding for our rugs and they are available for purchase at checkout. 8. What are the benefits of under-padding? Under-padding has many benefits for your rug. It holds the rug securely in place to prevent slipping, adding cushioning and luxury and allowing for easier cleaning. Under-padding also prevents pile crush, protects rugs from the effects of sharp objects like heels and generally extends the life of your rugs. Its use is highly recommended to prolong the life and quality of your rug. 9. How long does it take to make an Oriental rug? The average rug or carpet can take months or years to be woven. 10. How accurately do the pictures on the screen reflect the actual colors of the rug? The color seen on your monitor is usually about 95% accurate and a good representation of the true color of the rug. This can also be affected greatly by the quality of your particular monitor and its color calibration. We make every effort to present a picture that accurately represents the real colors of the rug. 11. Do you also sell accessories? Yes, we feature Natuzzi Furniture, Sherill Furniture, Vera Bradley, Baldwin Brass, Hekman Furniture, Peggy Karr Glass and Speer Lamps. 12. What payment method do you accept? We accept Master Card, Visa, Check, Money Order and Cash.